FPV Lazarus on UT, tips also for RPi – Arduino, Raspberry Pi and ESP8266 Small Computers! 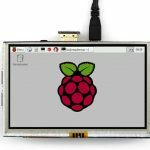 This entry was posted in Lazarus, Raspberry Pi. Bookmark the permalink.